Timeliness and quality We understand the importance of timeliness, but realize the frustration and inconvenience of receiving a product that does not meet required standards, or even simply, fails to operate. We promise to put an end to an era of unreliability. Here at JCS, Quality is engrained into our culture. Testing and Quality Assurance Our team of highly skilled, cross-trained professionals oversees each stage of production to ensure products are flawless. Our quality control standards are so high that we test each product individually, before delivery, to ensure that any item that comes off of our production line meets standards and is functioning properly. We believe in exceeding our customer’s quality expectations and to prove to the world that there is no such thing as "acceptable fail rates." 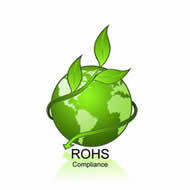 We strive to produce only the finest goods at the highest set standards for our customers. Quality is taken so seriously that we guarantee a ZERO percent chance of failure on any of our goods. If it fails upon install, we will replace it, FOR FREE, in less than 48 hours. 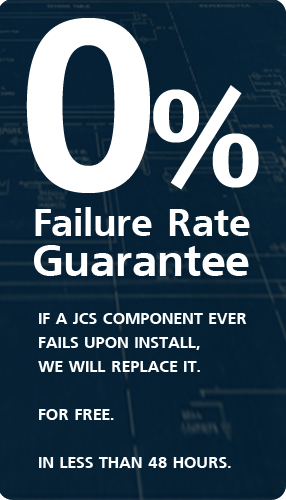 Our philosophy makes JCS a perfect fit for projects that demand a company willing to stand behind its work. There is no use in saving money if you are left with a shelf of unusable components, especially when they slow production, assembly or repair of your product.